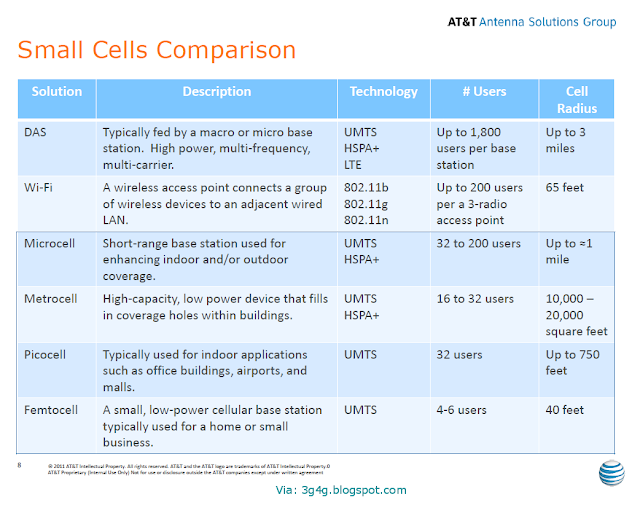 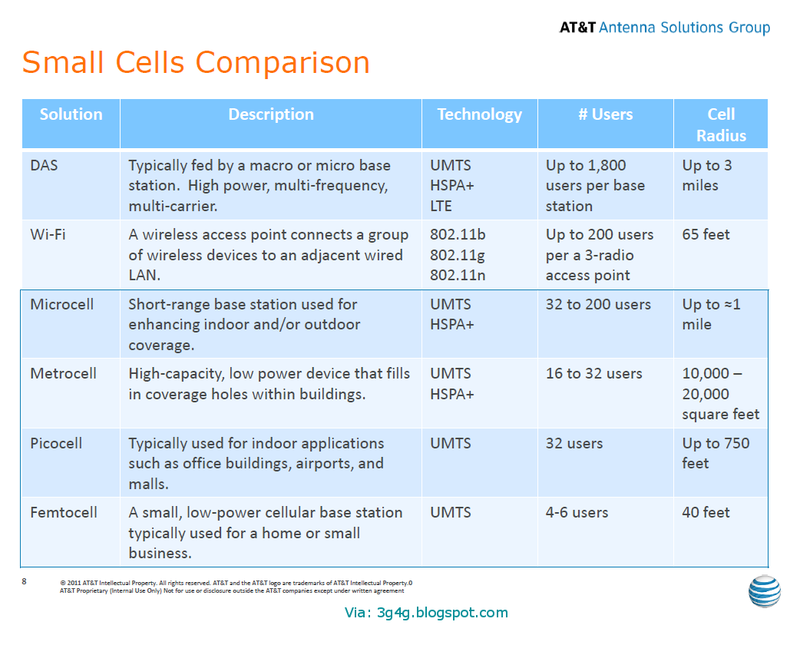 3G and 4G Wireless Blog: Small Cells 'Terminology' and 'Comparison': Here is AT&T's attempt in comparing the small cells. 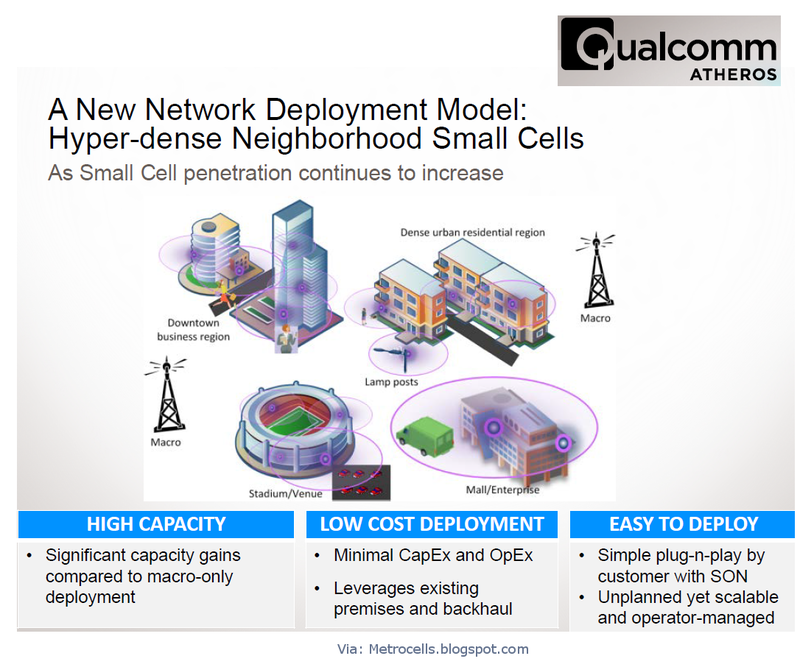 Is 'Neighborhood Small Cells' just another name for 'Metrocells'? Looks like the Metrocells would be used for the same purpose and does the same functionality.